The Waynesboro Area Industrial Heritage Trust is one of twelve 2018 Franklin County Tourism and Quality of Life Enhancement Grant recipients. 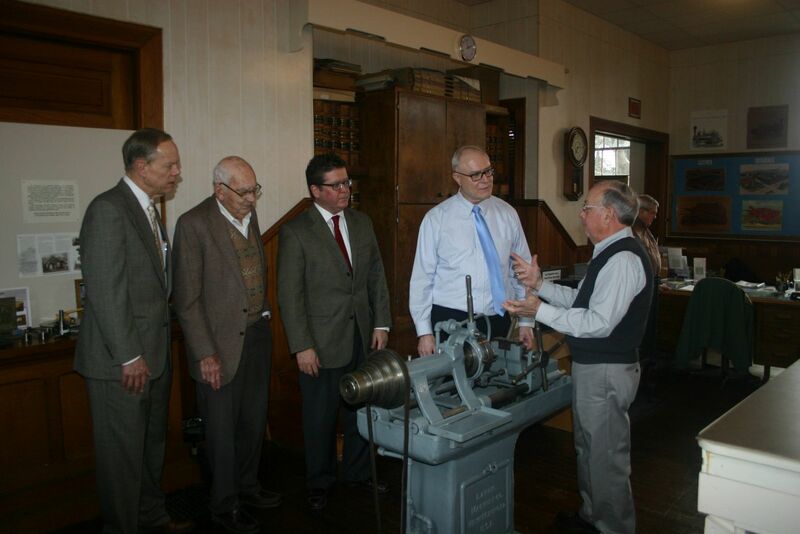 Last week, the Franklin County Commissioners toured the Waynesboro Industrial Museum. The museum provides visitors with awareness and insight into Waynesboro's rich industrial heritage and hosts special displays, events, and guest speakers. “Franklin County has such a great story to tell and we really appreciate the work the museum is doing to tell that story and preserve it for future generations,” said Franklin County Commissioner and Chairman Dave Keller. The Waynesboro Area Industrial Heritage Trust is one of twelve 2018 Franklin County Tourism and Quality of Life Enhancement Grant recipients. The Commissioners awarded $941.00 to the organization to fund museum computer system updates. The Franklin County Tourism and Quality of Life Enhancement Grant has allocated over $1.5M to more than 30 local projects since its inception in 2014. The funding is derived from the hotel/motel tax on overnight stays at hotels in the county, as well as Marcellus Shale impact fees. For more information on the grant program, contact the Franklin County Planning Department at (717) 261-3855. To learn more about Waynesboro Industrial Museum, call (717) 762-4460. Left to Right: Franklin County Commissioner Bob Ziobrowski, George Buckey, Commissioner Chairman Dave Keller, and Commissioner Bob Thomas listen to Brian Shook.